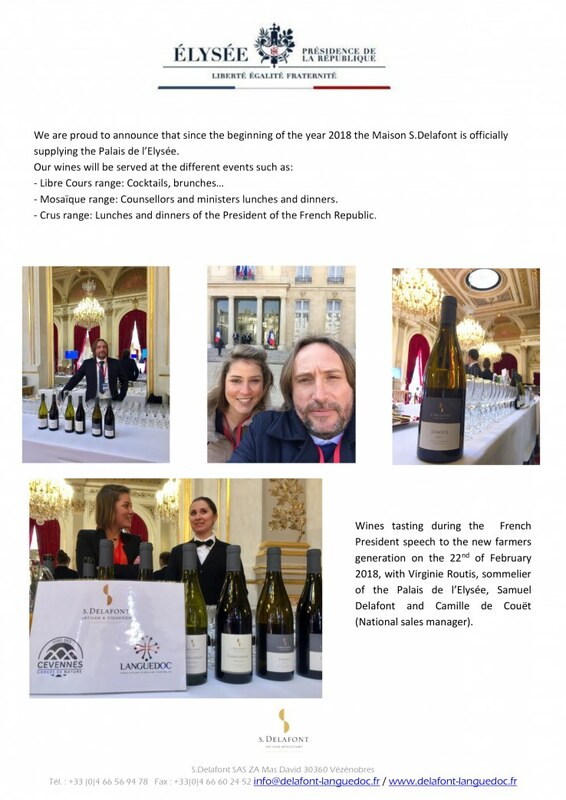 cognac-one | Maison S.Delafont now serving at the French President and more at Palais de l’Élysée!! – Mosaïque range: Counselors and ministers lunches and dinners. – Languedoc Crus range (Limoux, Pic Saint Loup, La Clape…): Lunches and dinners of the President of the French Republic. This is an incredible honor and privilege and we hope you will soon be drinking like President Emmanuel Macron – cheers!